Our Revolution announced Thursday it will support the liberal Tallahassee Mayor. 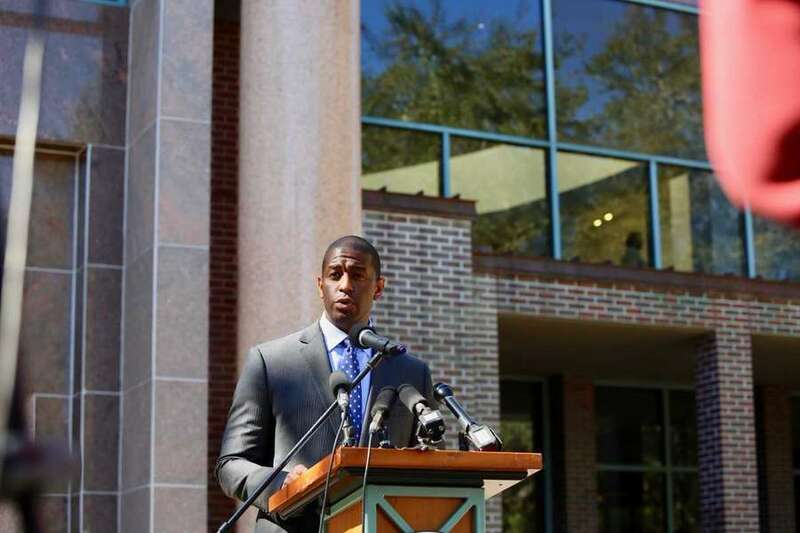 Andrew Gillum netted a major endorsement Thursday, with the Bernie Sanders-affiliated group Our Revolution announcing it would back the Tallahassee mayor's run for governor. "Andrew Gillum is a driven public servant who has already shown his commitment to the working people of Florida, Our Revolution President Nina Turner said in a statement. "Our Revolution is proud to support his campaign because we believe in his ability to bring bold progressive policies to all Floridians." Our Revolution wasn't the only group to weigh in on the Democratic primary. The Republican Governor's Association took to Twitter to celebrate Our Revolution's endorsement — and bash Gillum's rival, former Congresswoman Gwen Graham. Our Revolution was spun off from the unsuccessful 2016 presidential run of Sen. Bernie Sanders, I-VT. The group, funded by individual donors, supports progressive candidates for office all over the country, according to its website. The endorsement is a big get for Gillum, who has long tried to occupy the left lane of the Democratic gubernatorial primary. Although Our Revolution's candidate Sanders lost the Florida Democratic primary in 2016 to Hillary Clinton by some 30 points, the ultraliberal wing of the party that largely supported Sanders then appears to be energized in 2018.